T he Estadio de la Cerámica was the venue, Villarreal versus Barcelona was the match, and as the pitch action ensued into the 90th minute, Lionel Messi was the target. He had to be neutralised, for it was the hosts, draped in all yellow kits, who were leading 1-0 over the Catalan behemoths. The fruits of their labour needed to be protected. The Yellow Submarine was close to victory, they could taste it. Villarreal’s Bruno Soriano, a product of the club’s youth system and senior player for over a decade, put Messi in his sights. As it happened, the defensive midfielder would be forced to take down the Argentine genius near the edge of the penalty box. The free-kick was awarded, and in the 90th-minute, Messi would strike a gorgeous left-footed effort past Sergio Asenjo and into the stopper’s top-right corner. Asenjo didn’t even make an attempt, he was clearly beaten. After four minutes of added time and Villarreal’s Jaume Costa being sent off, 1-1 read the final score. The hosts were robbed, there is no denying it. Had Messi taken his talents to China before the season started or had he just not been able to play in this La Liga fixture, the Yellow Submarine would have taken the three points. But for all the heartbreak that Messi caused Villarreal’s players and supporters, there was a sense that Villarreal had made a statement. In fact, from a statistical perspective, they did. 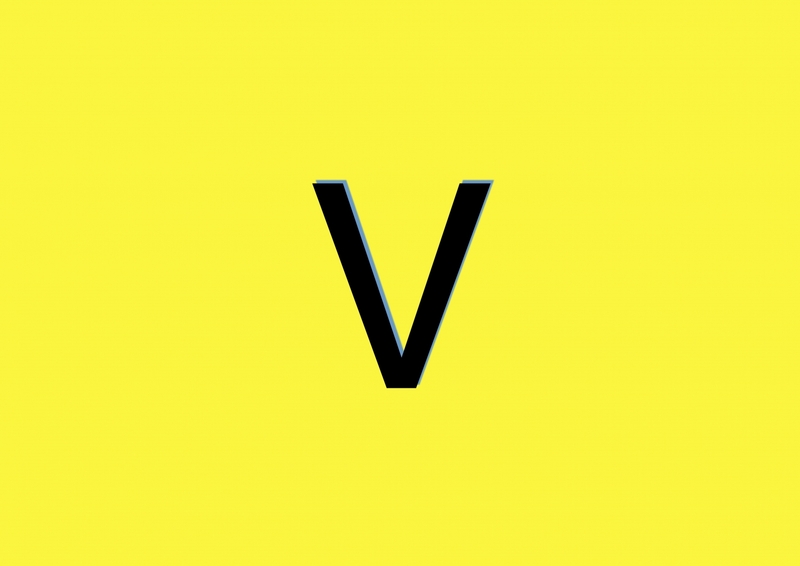 After the final whistle blew in southern Spain that night, Villarreal had managed to go unbeaten against all sides within the top six and, as a result, illustrated their ability to perform against the best the Spanish top-flight had to offer. Now, if the club’s goal is to challenge for the title and come away with three points against Barça at home, then sitting outside the top four likely isn’t cutting it. Proving to be difficult to beat when you’re still scratching the title contending surface isn’t necessarily something worth applauding. But when current manager, Fran Escribá, is appointed only one week before the season starts and has to deal with crucial personnel departures, at that point, the stat mentioned above suddenly takes on a different value. What Villarreal are doing and has done is very impressive. After three consecutive finishes within the top six under former manager, Marcelino, Villarreal are looking to improve every season. They currently hold one of the stingiest goals against record in La Liga and are rightfully regarded as the best defensive unit in the league. However, like with many things in life, growth and upward trajectory starts from the bottom. Just like that, Villarreal’s star players were gone. Borja Valero, Diego López, Nilmar and Giuseppe Rossi were on their way out of Castellón, a province within the Valencian community where Villarreal reside. The club, from the small town of Vila-Real, had just finished the 2011-12 season in 18th place; they had lost their final game of season at home to Atlético Madrid. Villarreal were on their way down to the Segunda División. Owner and Spanish Billionaire, Fernando Roig, a man who accumulated his wealth in Vila-Real’s famed ceramics trade, was seen shedding tears on the Madrigal pitch when it finally had sunk in that his club of 16 years was now going to have to fight their way back to the Primera. This was something Roig was not expecting. The tenures of Juan Garrido, José Molina and Miguel Lotina couldn’t be further from the success Villarreal experienced under Manuel Pellegrini. The club had made it to the UEFA Champions League semi-final in 2006 and finished second in La Liga to Real Madrid in 2008 under the Chilean – Villarreal’s highest league finish to date. A restructuring was in order and Roig needed the turnaround to be quick. His wishes for a successful Segunda campaign, however, started with tragedy and sub-par play. Roig had gone with Manuel Preciado to lead the Primera comeback, only for the 54-year-old Spaniard to die of a heart attack on the very same day of his appointment. To make matters worse, former B team manager and successor, Julio Velázquez, had managed a seventh place position by mid-January and was sacked following a 1-1 draw against Almeria in the same month. Despite visible backing from then co-captains Bruno Soriano, Marcos Senna and Cani, it was clear to Roig that Velázquez wasn’t the man for the job. Within the next 24 hours, a replacement was going to be made. Villarreal’s fans were hoping for the best. Marcelino’s name was passed around here and there but he wasn’t the favourite. Perhaps because he wasn’t a former Villarreal player, and because he was mostly known for being a Segunda manager. Nevertheless, he was appointed manager of Villarreal on 14 January 2013, and he was about to make a Primera promotion hat-trick. After a brutal 5-0 defeat to Real Madrid Castilla, the former Sporting Gijón player and manager would lead Villarreal to promotion and the club would only suffer one more defeat in the final stretches of the Segunda season. Marcelino had arrived in winning fashion. He brought fresh tactical ideas and was changing the culture and mentality of the club; combine that with Roig’s proven results in youth academy investment and clever business in scouting and loaning, and you have their recipe for success. The next three seasons in La Liga was going to be a benchmark for small clubs looking to go toe-to-toe with footballing giants. 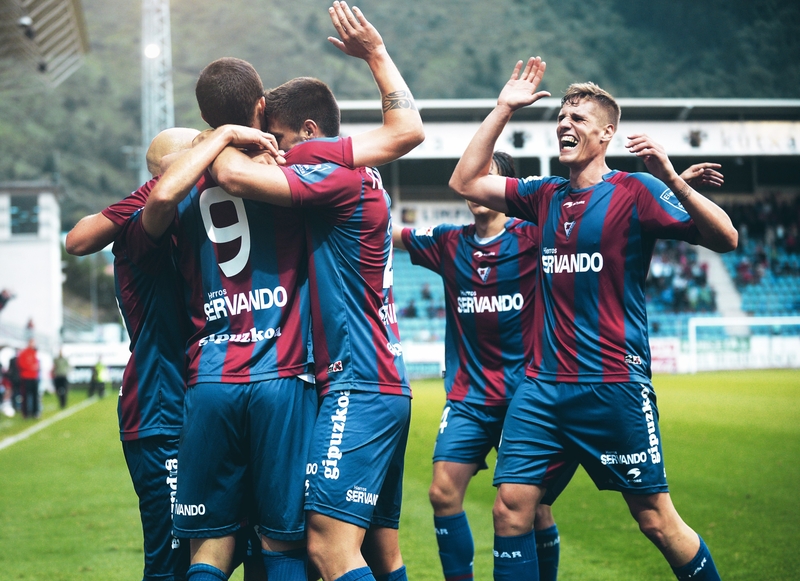 In the early stages of the 2015-16 Primera campaign, something special happened. For Villarreal, it was unprecedented. It was late-September and Marcelino’s men were sitting in atop La Liga. This was a big deal for the small but proud town. Just as a reminder, this was a club where all it is inhabitants could go to the Santiago Bernabéu and wouldn’t be able to fill its entire capacity – not even close, in fact. Obviously, Villarreal fans were happy to witness this and La Liga purists were pleased to see a respected club take in the view from the top of the Spanish footballing mountain. The throne was kept warm by Blaugrana and Blanco colours for far too long. The table during the sixth and seventh weeks looked good to this La Liga scribe, but Villarreal were soon dropped into fifth place in the eighth week. A Rojiblanco, Diego Simeone-like fairytale wasn’t on the cards for Marcelino’s high achievers. They would finish the 2015-16 campaign in fourth place, however, given the departure of 10 players in the summer prior to the start of the season, from a business standpoint, the fact that they managed to finish higher than the season before was very impressive. Villarreal lost their entire starting forwards: Gerard Moreno went to Espanyol, Ikechukwu Uche went to Tigres and rising talent Luciano Vietto went to Atlético. Furthermore, Giovani dos Santos looked to try his talents in Major League Soccer. Villarreal took inventory and picked quality replacements, and did so in clever business fashion. As a result of the sales of the players above and a couple of others, the Yellow Submarine spent €43 million and acquired Cédric Bakambu, Samu Castillejo, Samuel García, Roberto Soldado, Denis Suárez, and for no cost, got forwards Léo Baptistão and Adrián and goalkeeper Alphonse Areola. Looking back, Bakambu, Baptistão, Soldado and Suárez all contributed and fared well in Villarreal’s journey to a fourth place finish. Villarreal had successfully rebuilt yet again. Roig’s club have a fine scouting infrastructure and make the best out of their budget, but their recent success under Marcelino was also brought on by the Spaniard’s ability to get the best out of his side tactically. He did so by instilling a dynamic and multi-faceted approach to matches. He wanted a dangerous balance. Their go-to formation was and still is the 4-4-2. Under Marcelino, his teams were regarded as the second best defensive outfit in the league, often just behind Atlético. All players were taught the value of playing hard each and every game, and there are few teams better in Europe at deploying a low-block and succeeding with it. They embody this great yellow barrier in front of goal, and still do. This pragmatic philosophy, like with many other teams, gives way to playing on the counter, but if need be, they’ll enjoy making a relationship with the ball and slowing the play down. They’re very much in tune with Spain’s love affair of taking care of your possession percentage. It is this type of flexibility in their game that has allowed them play some quality matches against the triopoly in La Liga. Every Barça, Real and Atleti fan knows it. Yet for all the clever ways Villarreal have replaced departing talent, and for all the tactical masterclasses that Marcelino displayed home and away, it’d be foolish if we didn’t recognise some of the players that have come from the youth academy and have decided to continue the routine of pulling the Yellow kits over their heads every year. The players who have made the Estadio de la Ceramica dressing room an extension of their being and who stayed true to Roig’s vision. There’s no better representation of this loyalty than midfielder Bruno Soriano, Villarreal’s current captain, who has been with the club since 2004, making his way up through this youth system and forming a current partnership with Manu Trigueros. Trigueros started with the Villarreal C team in 2010 and was promoted to the first team during their successful Segunda campaign. The Yellow Submarine hasn’t just had the benefit of loyal midfielders, however. Fans also sing praise for Mario, Jaume Costa and Mateo Musacchio, their ferocious and smart defenders who have helped anchor their backline for years. In fact, all, barring Musacchio, are youth-team products turned first-team loyalists. Marcelino wrote these names on his teamsheets countless times during his tenure. The midfield and defensive pairs have grown into a formidable force for the past couple of seasons, helping their side stay afloat amidst constant departures, their minds always on the badge that adorns their kits. They’ve endured the hardships that were discussed earlier, but they’re still riding the Yellow Submarine. Unfortunately, Marcelino had to get off it. After Villarreal fans were dealt a blow in hearing Soldado would be sidelined for six months prior to the start of the ongoing season, residents of Vila-Real were given another, far bigger one – Marcelino had been sacked. Long story short, the Spaniard hadn’t seen eye-to-eye with a section of the club’s hierarchy over summer signings and was relieved of his duties despite being under contract until 2019. In came Escribá, and his Villarreal side are still in the mould of their former manager. They still play the 4-4-2 and they’re still stingy, but they’ve got a bigger bite going forward. Escribá’s tenure has seen him make use of summer signing Nicola Sansone, with the Italian forward scoring eight goals in all competitions this season. In addition to Sansone, Alexandre Pato was signed from Corinthians and the Brazilian has performed well while leading the attack with Sansone. The former Getafe manager has benefitted from Villarreal’s excellent business model, from Marcelino’s unique attention to flexible detail, and of the talented veterans at his disposal, but there’s also a sense that there’s more to come, that the team are being released in a manner they haven’t been before. The one who holds the leash is loosening his grip, to the point where a player like Trigueros can be seen evolving his play into more forward thinking, attacking actions.